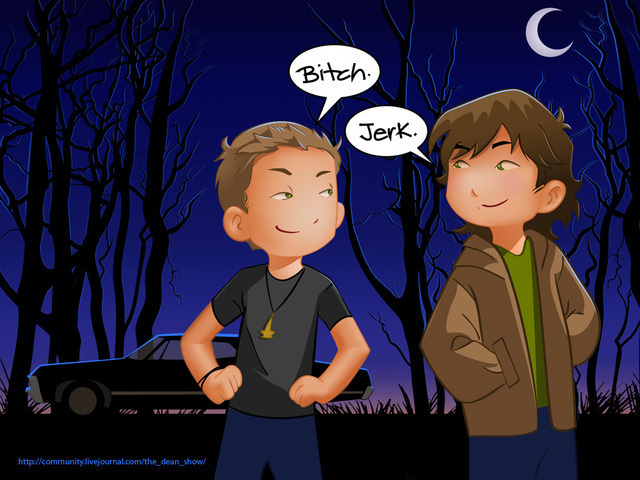 Sam and dean cartoon. i didnt make this 由 the way, i just thought it was cool 哈哈. Wallpaper and background images in the 邪恶力量 club. it's so sweeeeeeeet. They really look like Sam and Deen.